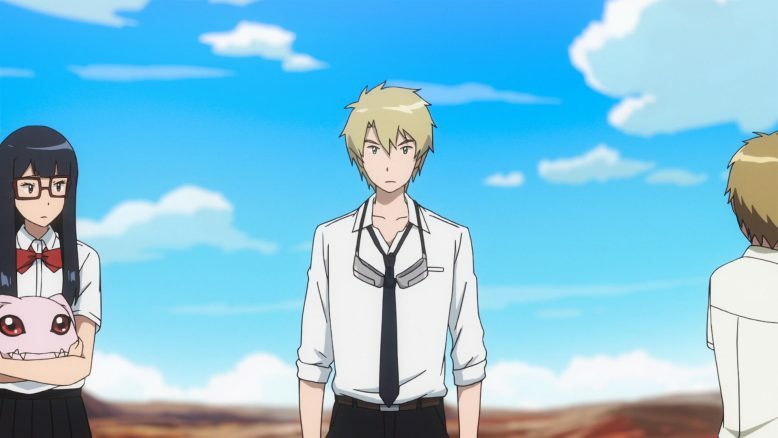 The next Digimon movie is here. If nothing else this one does set up the final conflict. We know what the stakes are by the end of this film. There is a lot going on and certainly it feels like the main cast is at war with just about everyone. At least they managed to get back to the real world and regroup a bit. Though of course they only got back because the digital world gave them the boot. 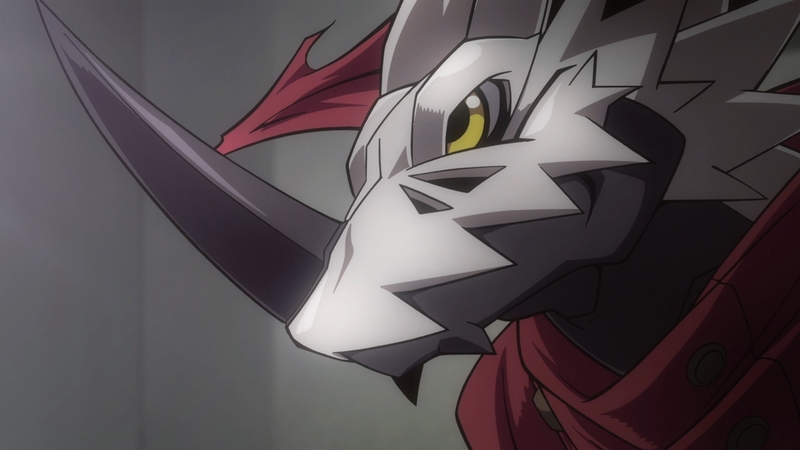 I will say it is nice that the movie didn’t spend too much time on digivolution sequences like they did in some previous movies. This time we just get a quick barrage of them and let the fighting take over for a couple straight episodes. How much everyone likes those fights I suppose is up to personal interpretation. I would say this one is a bit of a slow episode that eases us back into things. It feels more like just establishing the current situation and touching a bit on things with Meicoomon and Meiko. We don’t gain a lot of new information in terms of that relationship than what we already knew. The one thing that did stand out was how Meicoomon was always a bit of a dangerous existence. Even when Mei was a child if she lost track of Meicoomon for a short time…things could get messy. I suppose you could say that Meicoomon killing some birds or other animals is hardly a huge crisis. Cats that live out on farms go around killing mice, rabbits, and birds after all. But, it does show that Meicoomon can lose control, do something unsettling and not realize it ever happened. That’s pretty dangerous. Quite the burden put on Meiko without anyone telling her the important things. I mean great that the powers that be judged that giving Meicoomon a partner might help stabilize his mentality. But how about those powers actually give the girl some useful information? 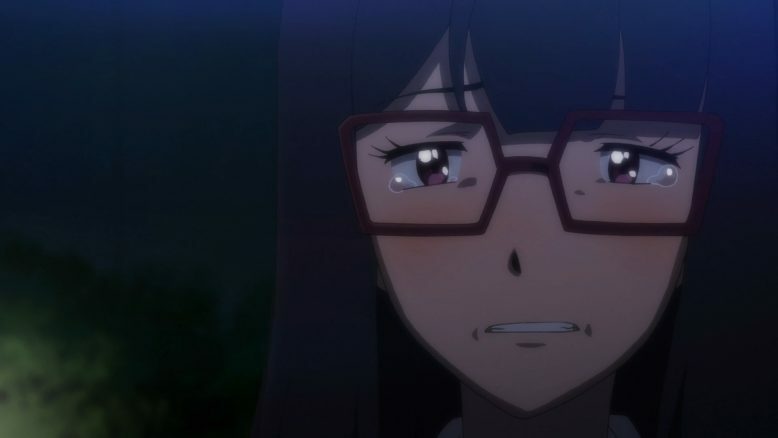 She’s given one of the heaviest responsibilities for any kid chosen to be a digi-destined and yet she’s been basically on her own. She’s had help from the government, but considering one of those people was a traitorous and evil idiot…the help she could get there was limited. Also it feels that this movie is going to be bringing back the potential Meiko attraction to Tai that they introduced earlier. I’m still not sure where this is going, but you’d presume they are going to pair Meiko off with someone by the end of these films. 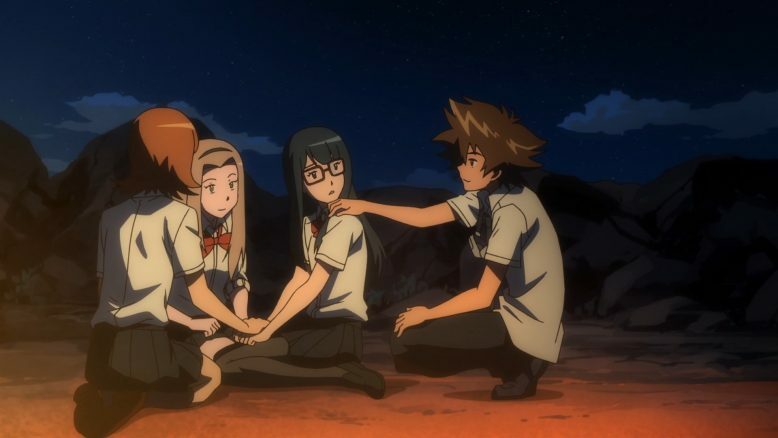 They didn’t turn the Sora and Matt situation back to being uncertain and introduce a new female character to not do anything on the romance side of things. That is hardly a focus. But it is hard to ignore it with the blushing moments she’s had here and there. We’ll see if they tap into that more in the coming parts of this movie. The more important point though seems to be just the bond she’s building with her allies. Obviously this whole situation has been beyond stressful and difficult. I can’t really blame her for having negative thoughts about the situation and her position. But I agree with the others. This is hardly all on her and if she didn’t become Meicoomon’s partner then they never would have met. There is value in even that meeting. Things are set to get pretty destructive and dangerous in a hurry. Meicoomon is back to being chaotic and rogue. We have an army of digimon ready to unleash chaos and destruction at any moment. And hey we’ve also got a crazy women wandering around and trying to chase down her old partner. I feel really bad for that digimon….a scary thing having a crazy stalker following you. It is made all the scarier since he has no idea who she is. I really hope she doesn’t find him….and I also kind of hope she falls into a pit. This wasn’t a hugely exciting episode, but it starts things off. We even get a creepy moment with Kari talking about how the digital world considers them a nuisance. Guess we’ll see how weird things get with Kari since this seems to be a focus film for her. Well the world is turning into a right cheerful place now… And I thought things were problematic for these kids back when Myotismon took over the city. Somehow angry mobs and police make murderous digimon seem cheerful by comparison. Of course it isn’t surprising. You see the world going crazy and human decency isn’t high on priority lists. I suppose we should be happy that the public called the police instead of trying to mug them. 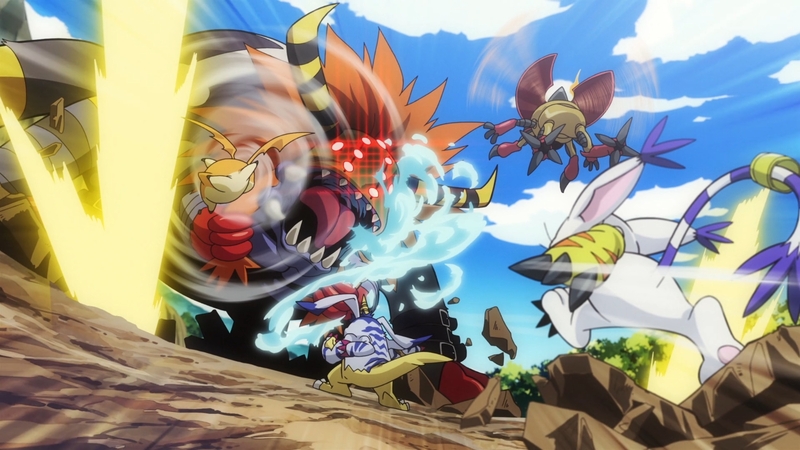 Though it would have made for an awesome scene of watching the digimon beat the stuffing out of the mob XD. A public relations disaster, but would have been kind of fun in its own way. It’s just a frustrating thing. People really will just lose it and brand everything that fits into a box as an enemy. Just looking at human history gives us plenty on that front. So of course the public will toss non-human entities like digimon into the pile in a hurry. It is an international crisis right now there’s no doubt about that. This whole episode just hit home the issue of frustrating superiors. Whether it is the governments of the world or Homeostasis the problem is the same. Decisions are being made and they are leaving the main cast out of the process. 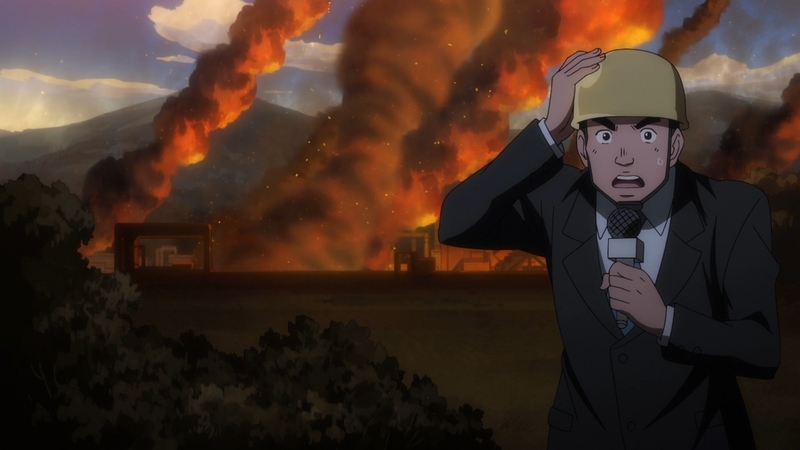 Nishijima feels the same frustration as the rest of the main characters. So much is being decided and at most he’s being told of the final decisions after they are made. He’s just taking a double dose of frustration whether it is from his bosses or from Hackmon. Being one of the original digidestined he must be unbelievably frustrated. One of his friends has basically gone insane/rogue and it feels like his grip on things is slipping away. I can understand Homeostasis feeling that Meicoomon is a threat. But the bigger threat is the one manipulating things. Just taking out Meicoomon is treating the symptoms and not the more nefarious issues. And it is frustrating that Tai and the group are chosen, asked to fight, asked to save the world, but in the end they don’t even get told what decisions are being made. The digital world just treats them like a menace and kicks them out. It is a good thing the main cast are a solid group so they could help keep Meiko from losing her mind. The amount of things in this world rejecting someone important to her is pretty vast. But she needs to keep in mind those that care about her and Meicoomon. They are in a bad spot, but they have to keep pushing forward. This movie is definitely giving the feeling that things aren’t going to be easy to resolve. They have to save the world which isn’t remotely easy. But on top of it all they have to avoid doing even more harm to the reputation of their friends. The world just keeps adding to their grief. They have to deal with even Gennai, Homeostasis trying to annihilate Meicoomon, the public’s anger, and the armies of digimon hanging around. When bad news arrives it really happens all at once. That’s not an easy pile of things to deal with. It isn’t always easy to make the right decisions even if you have the best of intentions. We’re coming back again to Tai’s struggles in Tri. Even he’s frustrated with how he’s not nearly so straight forward and focused as he was as a kid. Sure back then he clashed often with his own allies because of that attitude, but he was never really in doubt about what he should be doing. A few years pass and Tai really is struggling. Of course Agumon makes the fair point that following his gut may be for the best. It is a simplistic point of view, but Agumon is pretty simple as a character. I’m not surprised Tai lost his cool a bit with Meiko either. She does sometimes end up in fairly dark places with her train of thoughts. Although I’m sure on some level appreciates the pain she’s going through. Meiko has to keep looking at things and how messed up they are. Someone that Meiko really cares about is in trouble and she can’t do much about it. Combine that with a personality that tends to put herself down…Still it was a nice scene in general for Tai to spend some time talking to the newest member of their group. That Meicoomon’s defensive mechanism is triggered by fear is a real problem. How the heck are they going to reach out to someone who is that powerful without stepping up their response levels? They can’t just casually walk up to Meicoomon when she’s in that kind of state. It requires a level of force to try and get close. And things are only getting more chaotic thanks to Jesmon. Homeostasis may feel like this is the only way to go about things, but the method is a real problem. It is only pushing Meicoomon further into a corner and it frankly is frustrating the Digidestined. These characters are given all this responsibility, are made to fight terrible battles, but in the end they are thrown aside when the guy in charge doesn’t like what they are doing? Now we have Homeostasis putting them in a situation where they have to fight both sides at once. And I’m not sure that will work out very well. This doesn’t feel like a situation they can simply resolve through pure force. They may have no choice but to try though. It is bad enough that we have Yggdrasil trying to wipe out humanity. Now we have Homeostasis trying to preserve balance through force and betraying the humans it recruited in the first place. Things are going to get messy and I really hope Tai is ready to step things up. Well….that went places. Talk about dropping a major cliffhanger before the last of the Tri movies. Of course a lot of the drama isn’t going to stick with you for long. I mean there is no chance that Tai is dead. They aren’t going to kill the main character of the original series in the second to last movie. What this does do though is allow for Tai to take a more personal journey while on his own. Well kind of on his own…Nishijima is probably with him. And that does give me some guesses as to where they are and what they will be doing. While honestly I’d be fine to just bury Himekawa and consider her dead…I don’t think the movies are going that far. They seem to want to give Nishijima the chance to truly save her. Which means they are likely heading to that dark ocean with her. That will give Tai a chance to try and help Kari who that creepy evil Gennai is influencing. And it allows for Nishijima to settle his personal score. Now I’m not sure if there will be more than simply that. It would be nice if they could find some way to truly help Meicoomon and now Gatomon who has fused with her. The stakes of saving a friend are now even higher. They can toss in the fate of the world onto the pile. I will say it was fun to watch that kind of battle royal take place. 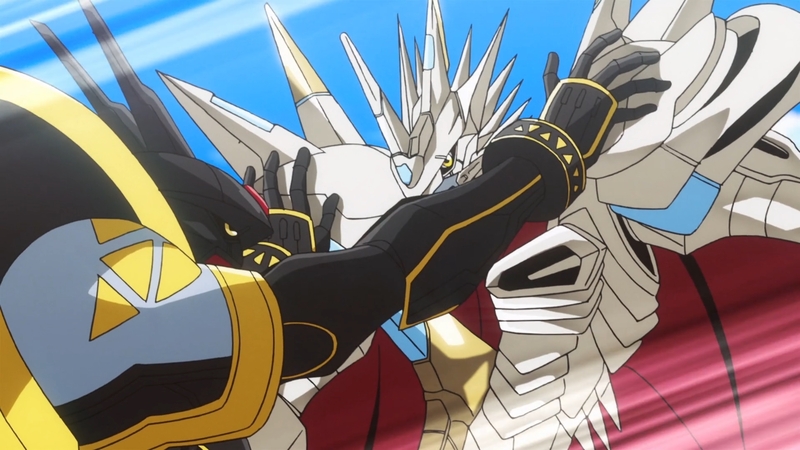 We got to see so many powerful Digimon getting involved and that includes Alphamon. It was a bit chaotic at times, but that makes sense with the amount of characters involved in it. And they did manage to keep the emotional stakes high. They do get a bit frustrating with how dark things get with Meiko, but I also get her feelings. The battles are only getting more intense and there’s nothing she can do to truly help Meicoomon. From her point of view perhaps killing Meicoomon is the only kindness left. She is currently afraid and lashing out. At this rate people were going to die and maybe the world too. 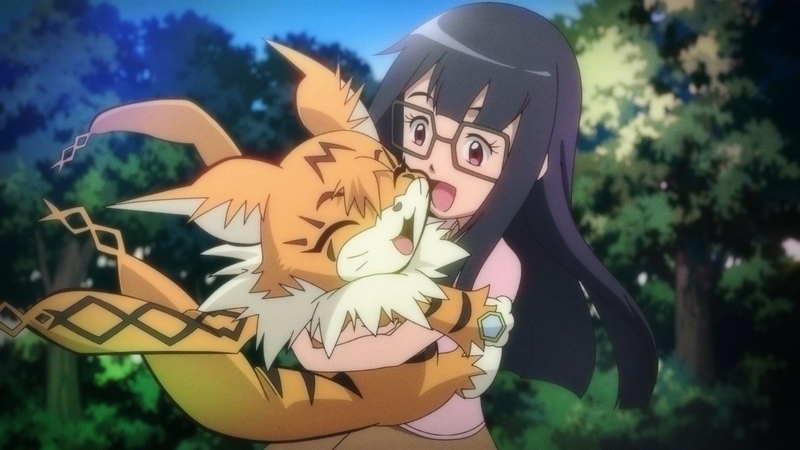 I can’t really blame her that much for thinking that it was better to end it than let Meicoomon continue to suffer. It was at least nice to see Tai make some bold moves as well. While I can understand Matt being all “wait a freaking second”, the point of view has some value. Right now Meiko is suffering and pushing herself to say something that dark. Tai can understand her from what he saw the previous day. She does truly love Meicoomon. Considering how their allies were getting exhausted and the fight was getting more intense….I can’t really blame Tai for making that decision. If they took too much time to think about it then they might not have a choice in the matter. And I did like seeing Tai step up and make sure to save as many as he could. Even though it meant risking his own safety. So yeah, now we’ve got Matt temporarily taking over the leadership role. He does have a point anyways. They don’t have time to sit around looking shocked, confused, or depressed. That fused monster is going to destroy the world. If they don’t get to it and do something now….there might not be a world to save later. However, their chances of pulling off any kind of victory is pretty low right now. 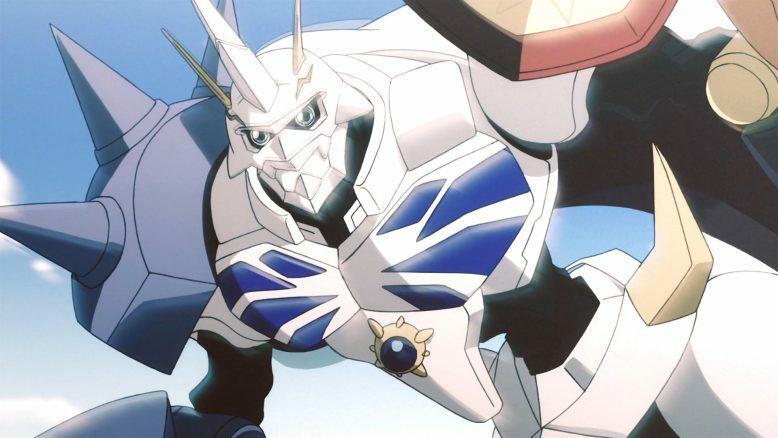 Without Tai they don’t have Omnimon at their disposal. And you can toss in on top of that problem the fact that Kari is basically gone mentally and Gatomon has literally become part of that monster! Yet they can’t just sit around and hope someone else will solve this. As we know….the S2 cast is just not going to show up. I just don’t know what to say right now with this movie. They did spend a good amount of time with the characters together and that was nice. It just isn’t a bad thing being able to slow down and show where the various characters are at mentally. And this also gave some good focus to Tai who stepped up and was prepared to make a big sacrifice. While Meiko reached some dark moments in all of this, I still like where they went with her. Her position is unbelievably painful and it would be hard for anyone to bear it easily. At least we got into her head a bit. There wasn’t a ton of action in the early going. But when the fighting started, it really started. I did like finally getting to see Omnimon go for it without having to feel the need to hold back or worry about damages. Here’s hoping they can bring some awesome action for the last of the movies. And that is the biggest thing that has me worried. Can they handle wrapping this up in a satisfying way? We’ve got one more movie to go. Maybe 4 or 5 episodes left and that will be it. They have to be able to deal with everything still on the table and end it in a way that feels satisfying. I sure hope they can pull this off. For me this was a pretty solid movie. I wouldn’t say everything in the 5th film was perfect. But I will say that they did a lot of things that worked for me. I just hope that I can say the last movie is an undeniable hit. I know these movies have been divisive and some just haven’t liked them. There are many issues I’d throw at them myself. I still don’t think the way they dealt with the 02 cast was particularly skilled. The 02 cast was one I didn’t even like so getting rid of them in a smart way would have been fine by me. 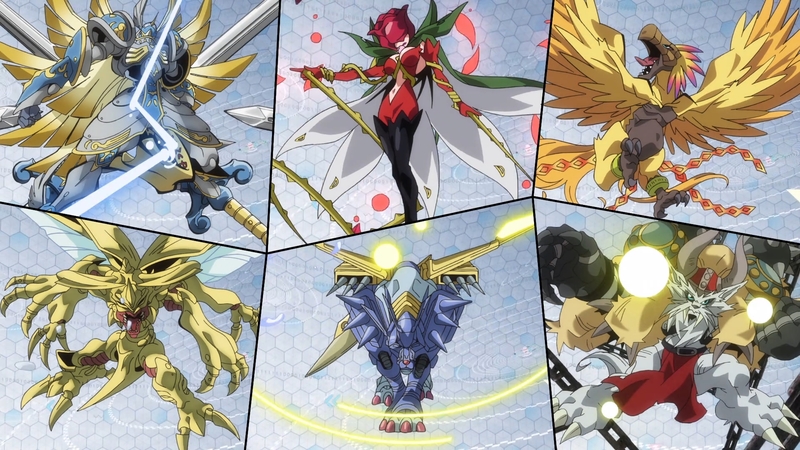 And certainly I wish the higher evolved forms for the main cast digimon….talked more. I mean they don’t lose the ability to communicate by digivolving so that’s been weird. But as a whole I’ve still enjoyed the experience. Meiko and Meicoomon have been a solid core for the story to build around and I am curious to see how they handle the last movie….that apparently comes out in summer 2018! ?